Each spring, the University of Wisconsin-Madison honors a few academic staff members for their exemplary contributions to the university in teaching, service, leadership, outreach, and research – contributions that are rooted in the university’s commitment to public service and sharing knowledge. Among them this year is David Tobin, a senior scientist at the Space Science and Engineering Center (SSEC) and Cooperative Institute for Meteorological Satellite Studies (CIMSS) who was selected from a competitive pool of nominees to receive the 2017 Chancellor’s Award for Excellence in Research as an independent investigator. 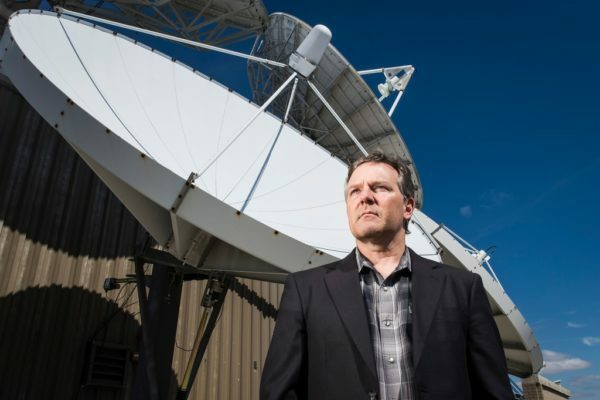 Through groundbreaking research in the field of satellite instruments, Tobin has earned a global reputation as a scientist supplying the world with better knowledge of climate trends and hazardous weather. His pioneering work with hyperspectral infrared sounders — instruments that provide critical data for weather forecast models — has increased their accuracy, leading to fewer forecasting errors and giving scientists greater confidence in their research findings. His fundamental contributions to the study of water vapor and infrared molecular spectroscopy early in his career resulted in a new computer model that is now the standard used in almost all weather and climate forecasting simulations. This work and many subsequent contributions have led to an array of awards, including ones from NASA, the International Radiation Commission, and the National Oceanic and Atmospheric Administration. Tobin and the other award winners will be honored at a reception hosted by Chancellor Rebecca Blank.